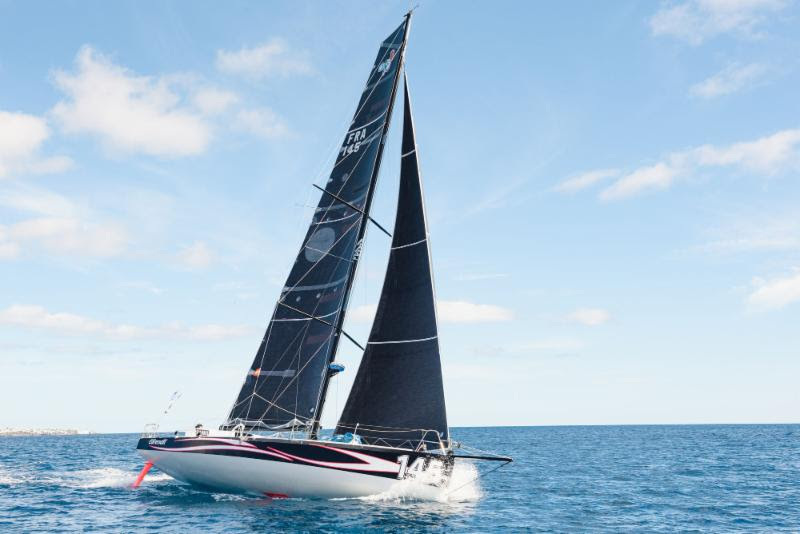 The battle between the multihulls has entered another phase, with both Giovanni Soldini’s Maserati Multi 70 and Peter Cunningham’s MOD70 PowerPlay crossing the rhumb line at sundown on day two. As dawn broke on the third day of the RORC Transatlantic Race, the two duelling trimarans tacked south. However, Maserati chose to take a hotter angle to the northwesterly breeze, whilst PowerPlay was heading downwind. The main objective for both was to escape their area of high pressure to the solid 20 knots of wind that awaits them; the difference in opinion will play out today. At 0830 UTC on day three both boats were ramping up the boat speed, preparing for the downwind sleigh ride to come. It was a busy night on board Italian Supermaxi My Song. International Maxi Association member, Pier Luigi Loro Piana’s magnificent 130ft Baltic put in several manoeuvres during the night which would have required all 20 of the crew to be on deck. 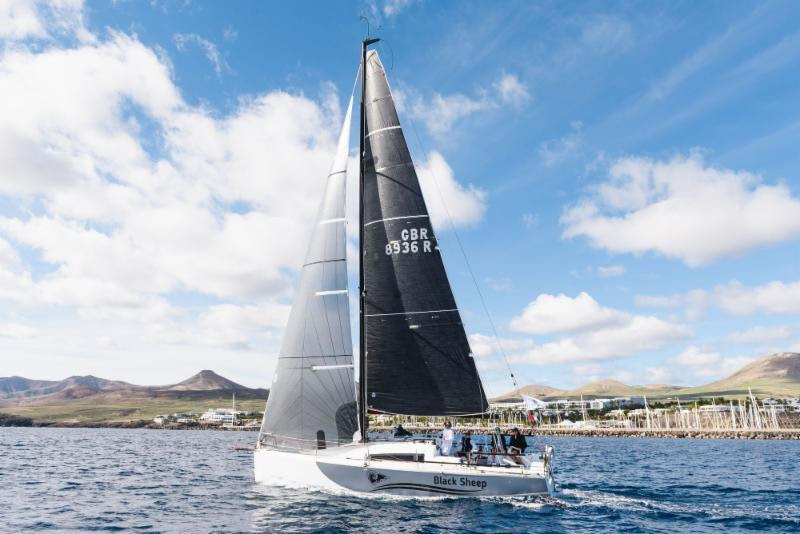 My Song is expected to make the solid trade winds later today and unfurl its huge inventory of downwind sails: “On the delivery down to Lanzarote we saw a top speed of 22 knots without the spinnaker up. We are really looking forward to experiencing her full potential,” commented My Song navigator, Nacho Postigo. At 0830 UTC on Day Three of the RORC Transatlantic Race, Eärendil had pulled three miles ahead of Hydra. Stephane Bry’s French-Finnish team racing Sirius was 27 miles behind the leader. In the IRC fleet, My Song was leading on the water by 53 miles from Franco Niggeler’s Swiss Cookson 50 Kuka3, which pulled off a great strategic call last night. Kuka3 passed very close to the south side of El Hierro reaching a speed of over 8 knots; presumably after picking up land breeze emanating from the islands 1,500 metre high peak. Trevor Middleton’s British Sun Fast 3600 Black Sheep is going well. The team saw significant gains yesterday by staying in the pressure to the north of the fleet, and on the third day of racing the high pressure ridge has moved north, giving the smallest boat in the race more wind to head south to the full trade winds.